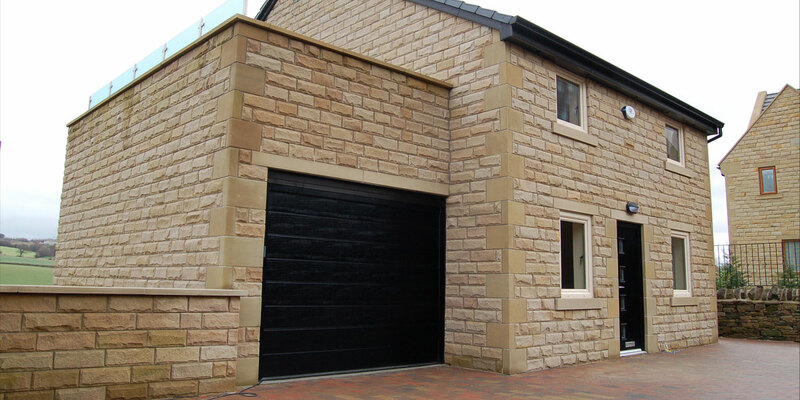 An example of what can be achieved on even the most difficult sloping site. 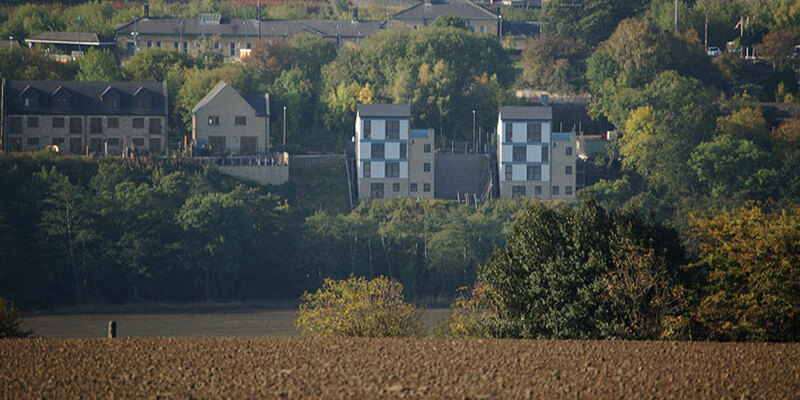 The two storeys above road level suggest modest cottages; the two storeys stepping down the banking reveal these majestic buildings that capture the sublime views over the river valley. 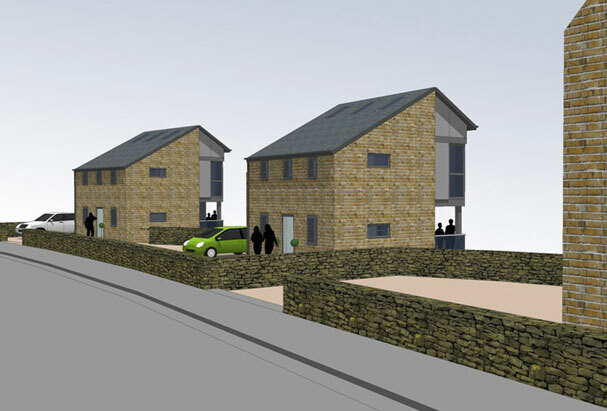 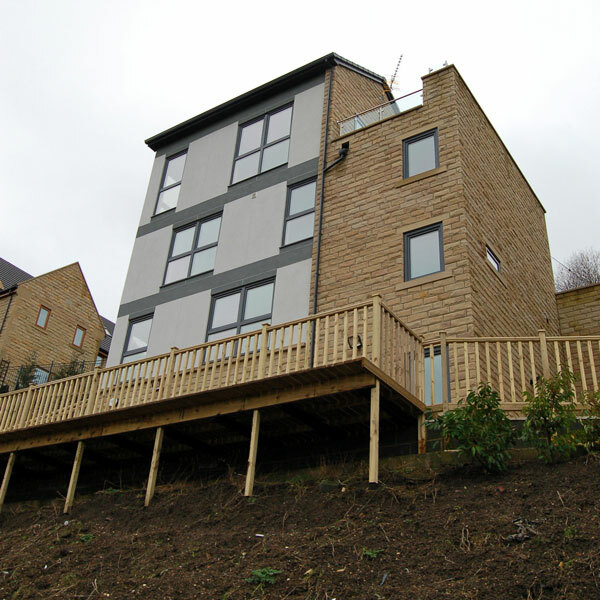 Extensive but cost effective ground and retaining works combine with a hybrid construction of steel frame and loadbearing masonry to tackle the slope and provide a quick, effective construction over the four storeys. 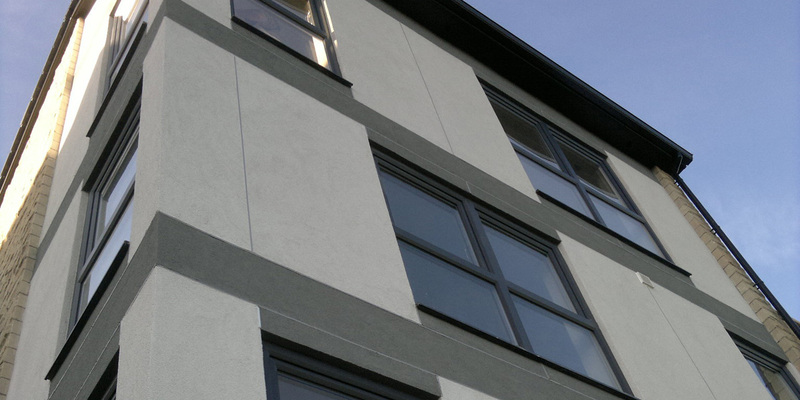 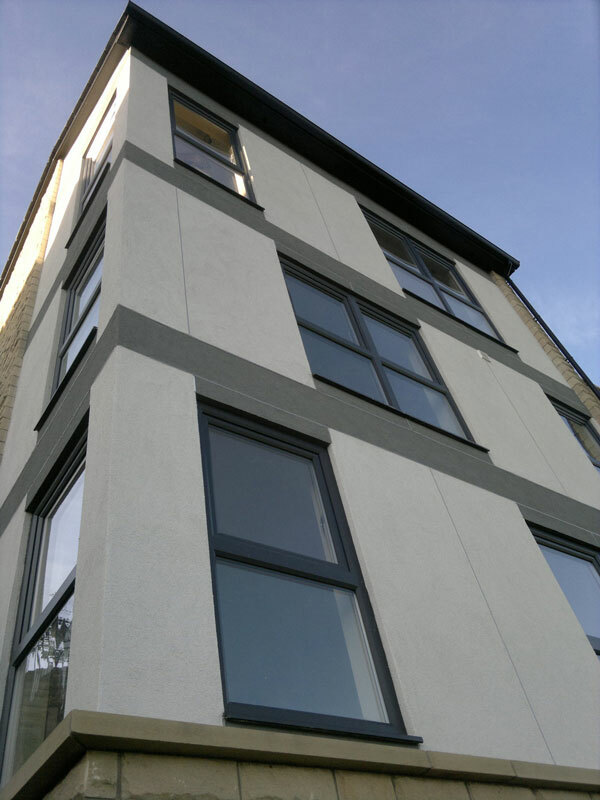 The traditional stone sits alongside an ultra contemporary façade of flush cladding panels and full height glazing that creates a new landmark for Penistone for the traffic passing on the nearby Manchester Road. 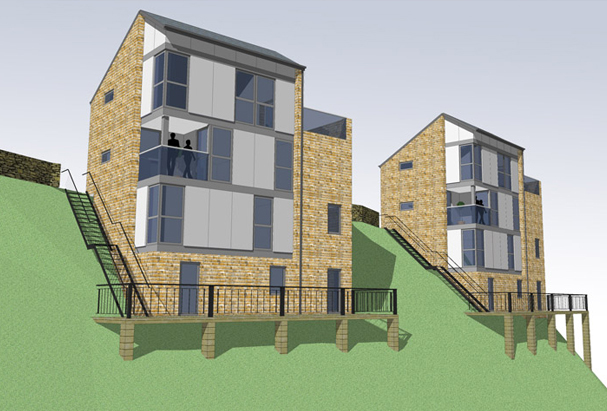 Carefully placed external spaces are positioned to provide sunny breakfast balcony and sunny evening terrace and the large roof lights bring light deep into the plan. 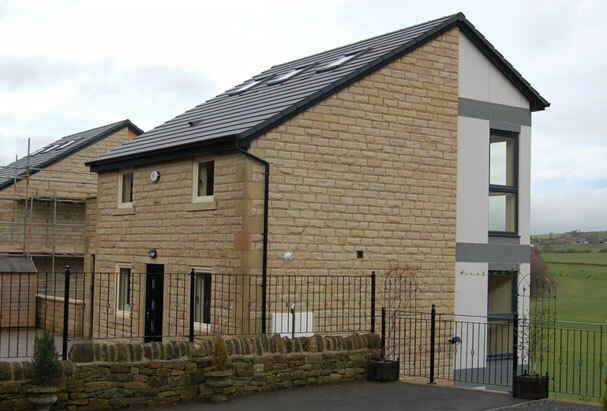 Traditional and modern styles were successfully combined, satisfying planning restrictions and the developers own vision.